We all know someone who has everything. And what a headache it is buying a gift for them. Yet another pair of socks to languish unworn in a drawer of a hundred identical pairs? A luxurious box of handmade chocolates that have melted and cooled into tasteless briquettes? A set of sparkling jewels to be secretly palmed off to the nearest costume hire shop? 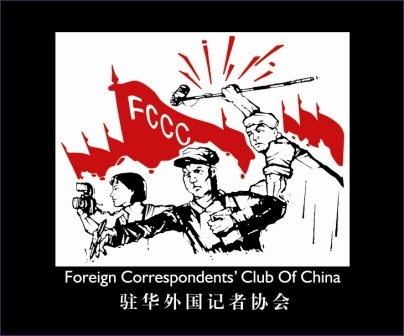 The FCCC t-shirt — unique, sleek and subtly witty — will appeal to all! Only 60 yuan each! Just contact us if you’re interested. Our famous Reporters’ Guide in a convenient pocket-sized form. Striking red armbands identifying you as a member of the press.